The cornea is the clear window on the front of your eye. It comprises a vast majority of the transparent tissue in the human body. It is a remarkable structure; five individual layers of living tissue dependent upon a myriad of mechanisms to keep its clarity while providing you with sharp vision. When you place a contact lens on this delicate structure you disrupt its intricate balance. For every individual cornea there is a well fitting contact lens. It is the job of your Parrelli Optical® eyecare professional to assure that tiny piece of plastic floats gently on the tears preserving the integrity of the tissue beneath while providing clear sharp vision. Not just today but as you wear those contact lenses day in and day out over a lifetime. Because your vision is just important to you now as it will be twenty, thirty or even fifty years from now. At Parrelli Optical we have access to designs from every major manufacturer. We do not push one model. 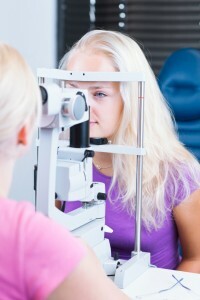 Through an extensive evaluation of your eyes we will determine the best contact lens for you. The reason that there are a virtually unlimited number of contact lens designs is that every eye is distinctly different. More distinct than a fingerprint, each eyeball requires something unique to assure the comfort and vision of a contact lens. At Parrelli Optical® we always think about what is best for you. We have established relationships with designers and manufacturers of soft, gas permeable, rigid and hybrid contact lenses. We have the skill and experience to fit each of these specialty designs to assure your comfortable wear, good vision and ongoing eye health. equipment to measure your eyes to guaranty your comfort, vision and continued eye health.